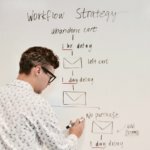 This post is one in a series of tips designed to guide small business owners through the challenges of today’s startup environment and is sponsored by Canon MAXIFY the printer lineup designed to help small business owners increase productivity so that they can focus on everything else that matters. For more information about the Canon MAXIFY printer lineup visit Canon MAXIFY? It’s hard to believe but with so much marketing going online – it’s time to take a fresh look at printed marketing materials. One of the best uses for printed marketing materials has to be networking events and trade shows. 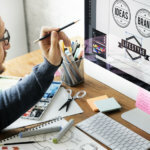 In this article, I’m going to share some of the best examples of marketing materials that you can use more than once a year that will keep you top of mind with your ideal customers. As I write this, I can see my neighbor’s cat stalking out in the back yard. He’s walking slowly around another neighbor’s vegetable garden. It’s clear to me, that he has an objective; to catch a mouse or a mole. I’m not sure if he’s going to be successful or not. AND I’m not sure that it matters. That’s just what cats do — it’s in their nature. He might be successful and if he is — that’s fine. He may NOT be successful and that’s fine too. He will get his meals at home. Like the cat, you are a hunter. But what differentiates you from my neighbor’s cat is that if you don’t catch something you won’t get paid and if you don’t get paid – you don’t eat. That’s why you can’t afford to just stalk networking events and play with social media strategies for the sake of doing? them. You have to work these strategies for the sake of generating sales so that you can build your business so that you can achieve what you set out to achieve. When you’re at a networking event, chances are you’ll be having lots of conversations. But don’t be fooled. 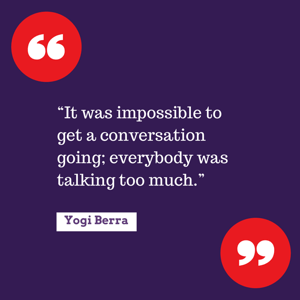 There is an insidious law of the universe at play that’s working against you the law of disappearing conversations. Conversations are comprised of words, and words don’t really have a physical form; you can’t see them, smell them or touch them. It’s up to you to put structures in place to keep those conversations moving forward; from the event to an email to a phone call, to a meeting to a sale. One of the easiest ways to create this structure is through the use of printed materials. Just because we’ve transitioned a lot of our business online, doesn’t mean that print is dead. While online content is necessary, in a lot of ways it’s invisible. You can have all your content on a web site, but how will you make sure that the new prospect you met at a networking event or conference will get to the web site? This is where the creative use of print becomes really important. Today’s printed marketing pieces have to work seamlessly with your online marketing. I’ve been using my Canon MAXIFY MB5320 to print some of the items I’m referencing here today. Before you go out and print a bunch of stuff, take a few minutes to map out the path your prospect takes to becoming a customer. How did they make their purchase? Where did they make their purchase? What was the last thing they saw before they purchased? What questions did they ask before they made their purchase? What triggered them to start a conversation with you? Now that you are armed with the path your most profitable customers took to making a purchase, you are ready to systematize this process so that more of your ideal customers can find their way to you. Your next step is to start planning on which networking events and conferences you’re going to attend and how you’re going to attract and guide your ideal prospects into becoming customers. Here is a simple networking event checklist that I use to keep myself focused on where I’m going, my goals and what I’m going to offer to the people that I meet to keep the conversation alive and moving toward my objective. 80% of your success at networking events will come from being prepared! You’d be amazed at how many people just come to a networking event armed with nothing but business cards and the idea that they are looking for new clients and customers. But you and I both know that this kind of behavior at a networking event just comes off sleazy. To be successful at networking, you need to put your focus on the other person, their business who they are trying to reach. And this is where your printed materials come in. Instead of using printed materials to feature YOU, you’re going to create printed materials that are focused on how you can contribute to your prospect or partner. 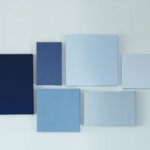 So with that in mind, I’ve pulled together some ideas for printed materials that you can take to your next networking event that will have you standing out in a sea of sameness. 1. 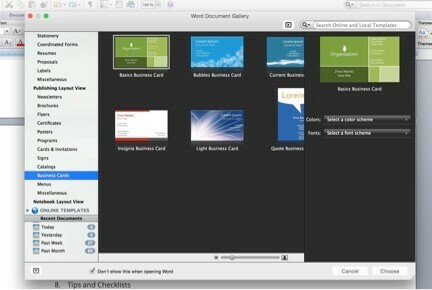 Contact Cards:Everyone has business cards, but contact cards are different. Contact cards have your picture along with the URLs (links) to your Facebook, Twitter, LinkedIn, etc, social channels. Be sure to make them links that people can type into the computer. I’ve seen people print just the logos (as if you could click on them). This obviously doesn’t work. Here’s an example of what my contact card looks like. 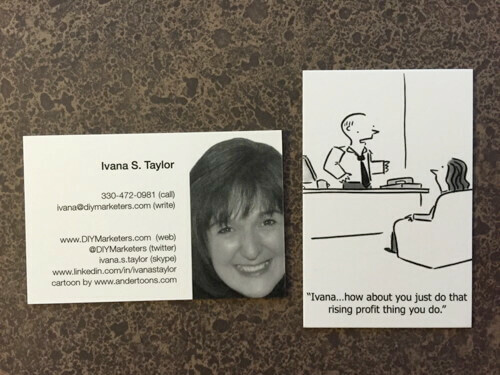 Because so much of my business is online, this is also my business card – but if you already have a business card, consider printing something like this for yourself to take to a networking event. 2. Post card with an offer: If you’re going to a networking event, go prepared with an offer that this audience would appreciate. The idea isn’t to have the postcard close the sale it’s to attract ideal prospects and customers. And the best way to do that is to create a lead magnet. A lead magnet can be a video, report, checklist or online course; anything that will educate and inform the recipient on how to be a better consumer of your products and services (you aren?t selling here, you are giving value and educating). 4. 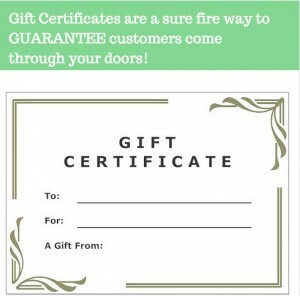 Gift Certificate: Gift certificates are SO POWERFUL and yet so few people use them as a marketing tool. The first thing you have to do is realize that an average newspaper/magazine or radio advertisement can cost you thousands of dollars per month over the course of several months. Once you spend that money it is gone; whether it attracts thousands of people to your business or just a handful. This is where gift certificates come in. Simply set a budget for gift certificate marketing. Let’s say it’s $2,500. 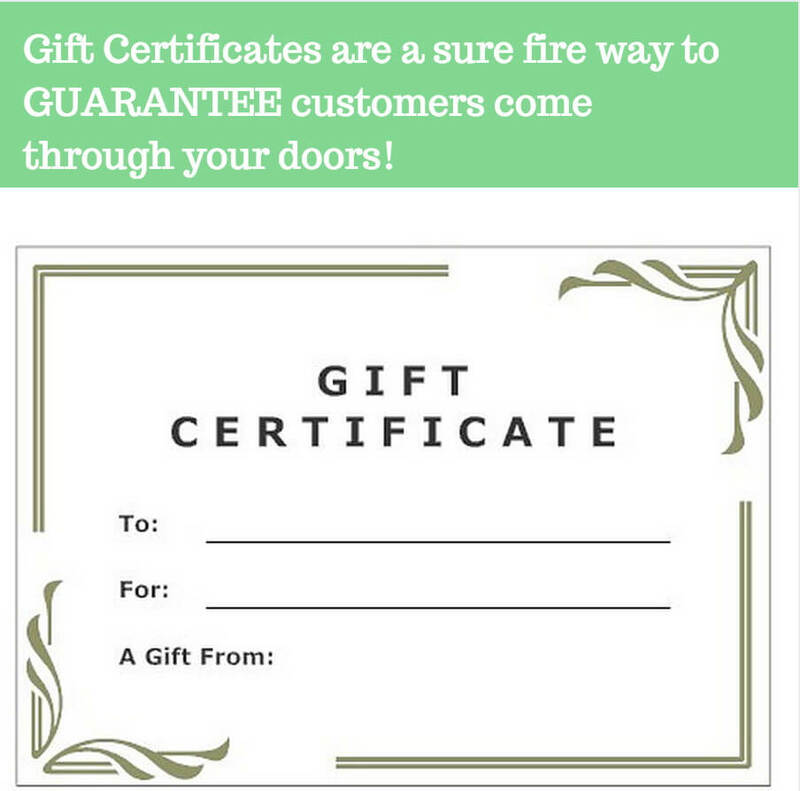 You decide to print 5 $100 gift certificates and 40 $50 gift certificates. Now you go to a networking event and start handing those out to ideal customers and referral partners. Because each of these gift certificates is actual cash money (and be sure to explain to these people that this is as good as cash) you are certain to drive traffic to your business. Not only that, but people won?t just spend the amount of the certificate they will most likely purchase more. Infographics: There are so many free and low cost ways to create engaging infographics that people really like to read and share. If you are a consultant or expert in your field, tell the story of your business in an infographic. 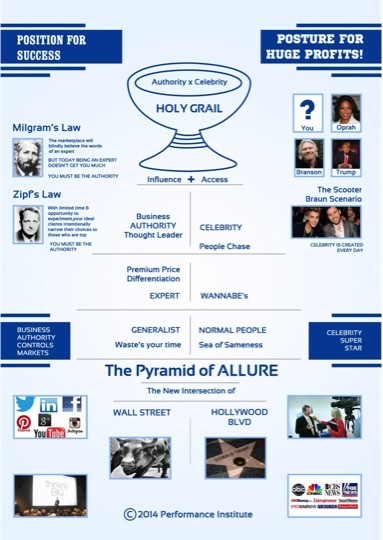 Print out copies and use it to educate the people you meet at networking events. Print it as a postcard or even a letter-sized handout. Be sure to include a link to a free download, report or video that will inform and educate your ideal customer or referral partner. The hardest part about creating an infographic is deciding on what you’ll want to show. It’s best to start with either a process or a story that revolves around data. Do all of your research and pull all the information together into a single word document. And if you don’t like playing with any of these, try Fiverr.com you can simply search on infographics? and find someone who can help you for $5. Pocket Portfolio: Another really creative way to stand out during networking events is to have a pocket portfolio. 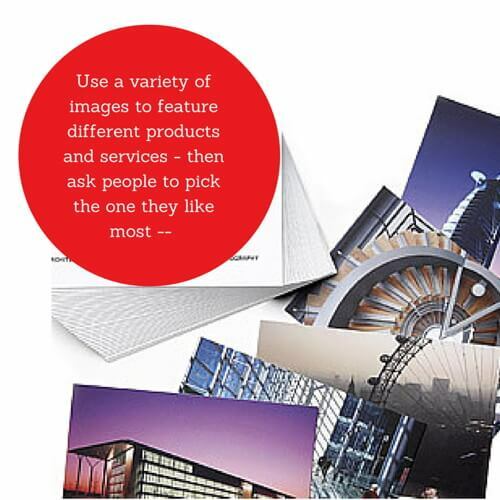 This is another variation on business cards and postcards (so all you’ll need is to use a Word template for either of those two to start) What makes a pocket portfolio unique is that you will break down your offers into different groups or categories and feature them on different postcards. Let’s say that you’re a photographer, you can create a pocket portfolio that contains a postcard all about senior pictures and another postcard that has wedding pictures and still another with family holiday portraits. 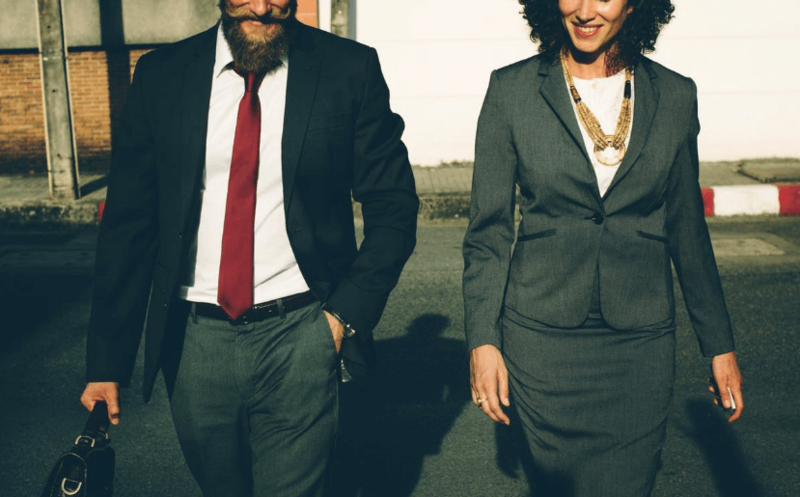 This way when you’re speaking with a prospect or referral partner at a networking event, you can fan out all of the different offers that you have and they can choose the ones they would be most interested in. To create your own pocket portfolio, simply write down all of the different offers you’d like to feature to an audience and on one side of the postcard put a beautiful image of your product or service and on the back of the postcard, describe the packages and LIST prices (remember you have gift certificates and coupons you can hand out). The big benefit of the pocket portfolio is that your prospects will choose exactly what they are interested in without getting overwhelmed by other competing offers. 7. Stickers: Stickers are a lot of fun and something you’d never think of bringing to a networking event. But you can make quite a splash and get people talking about you by playing with stickers. Let’s say that you run a bakery. 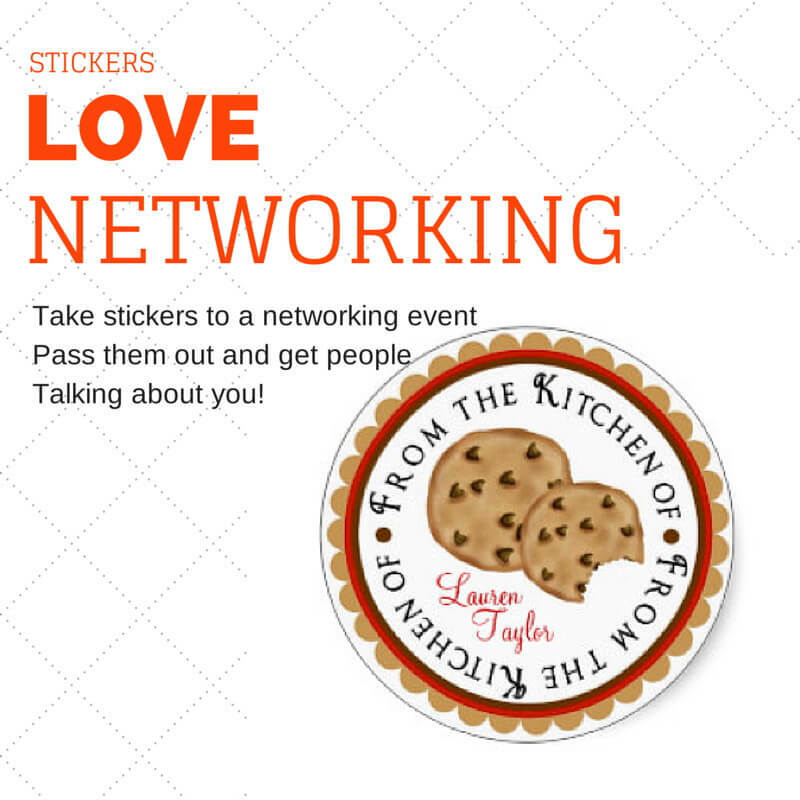 You could create stickers for three kinds of cookies (chocolate chip, sugar and peanut butter, for example ) now as you meet people at the networking event, ask them what their favorite cookie is then give them a sticker that says something like I LUV (picture of a chocolate chip cookie) and your companies logo name and website? what would be better still is if you came to the event and handed out coupons or gift certificates to your ideal clients. Soon, everyone will be wanting to know who was giving out cookies and gift certificates and once you ?run out? (and you should) start taking cards and names and appointments just from the people you want to continue a relationship with. 8.Tips and Checklists: If you are a subject matter expert, consider bringing a series of checklists and tips printed on post cards or even magnets to events. Once you start talking with someone ask them about what their challenges are when it comes to your area of expertise. Then simply hand them one of your checklists with a link to a landing page where they can download some more information. A great example of this would be a travel agent. Who doesn’t want a great packing checklist for going on a business trip or overseas? Put it together, print it and start passing it out! 9. Calendars: I know that calendars can be a bit cliche? but they can still be a lot of fun, especially if you create a calendar that has certain dates highlighted so that your potential customers can remember to call you. If you’re a CPA, you can create a calendar with helpful dates highlighted that say send in your quarterly payment? or ?Today is a good day to catch up on your mileage log. If you’re running a landscaping business or a nursery, you can print out calendars that remind customers when to plant different kinds of plants. This will keep them coming back for plants and supplies. Usually, I’m talking about cool online tools that will help you get and keep customers. But that doesn’t mean you should forget about print. Today’s print technology, like the Canon MAXIFY will allow your small business to print like the big guys (and then some). You can let your creativity be the guide and print just what you need when you need it. 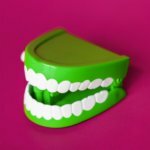 Use these creative print ideas for your next networking event and come home to a flood of new customers. PreviousIs it Time to Fix Your Business?